OYO Home 15817 Spacious 3BHK is a well-kept property with spacious and bright interiors, located on Pilerne Candolim Road in Goa. It is close to Candolim Beach, St. Sebastian Chapel, Museum of Goa, LPK Waterfront Club, Our Lady of Hope Church and Nerul River. The property comes with a large living and dining area, equipped with stylish wrought iron furniture. Large windows bring in ample sunlight. The kitchen is also big and well-equipped. 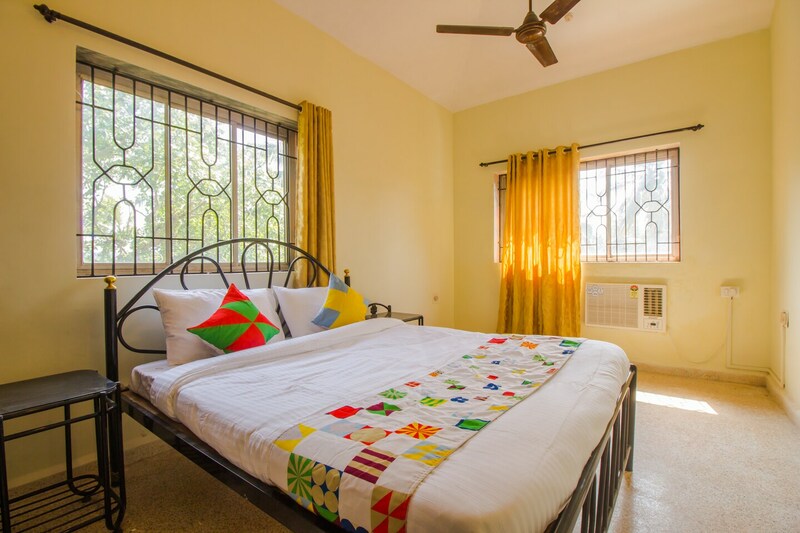 The rooms feature pretty wrought iron furniture, large windows and colourful textiles. Each room here comes with a TV, AC, and the neat bathrooms are equipped with geysers. Power backup is also offered. Chef Peter's Kitchen, The Lazy Goose, Nerul Eat Street and House Of Lloyds are the nearby eateries.